Otherwise, you need life insurance. 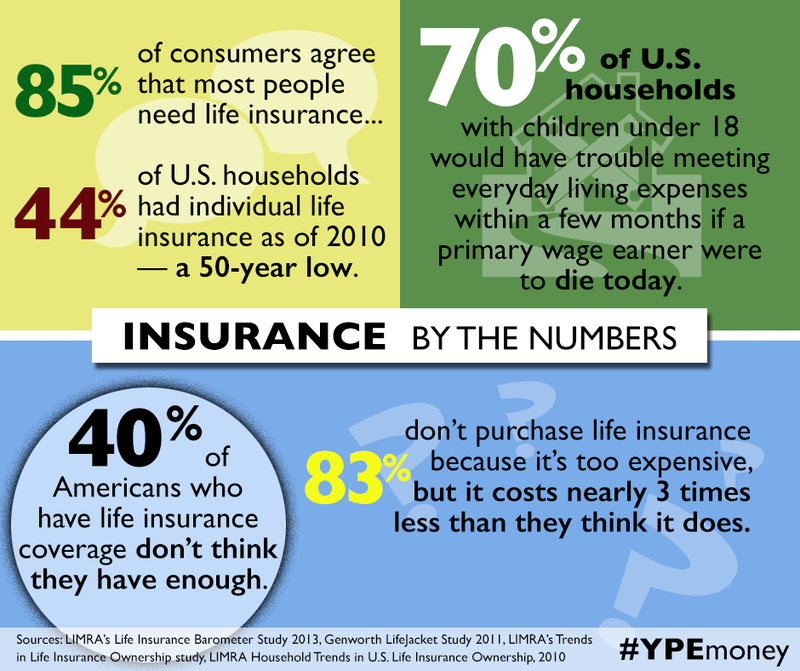 According to research(1), most Americans don’t have enough life insurance or the right kind. Many Americans have no life insurance at all. The reasons vary and following are supporting numbers. 85 percent of consumers agree that most people need life insurance, but only 62 percent of those surveyed say they have it. In 2010, it was reported that 44 percent of U.S. households had individual life insurance. That’s a 50 year low. In the 60’s, 72 percent had insurance, in the 90’s only 55 percent. A Genworth Life Insurance study found that 40 percent of people in the U.S. that have life insurance don’t believe they have enough. What is ’enough?’ Thanks for asking. We strongly suggest 10 to 12 times your yearly income in life insurance coverage for each family sustaining bread-winner, not just the top earner. If someone has “stay-at-home” status, they need insurance also. The money it’s going to take to replace what that person does for the family if they were to pass away falls into the category of depending on their “income.” Calculate the savings that the family enjoys because of the at-home adult (child care, etc), add around $20,000 then multiply by 10 or 12 to find a good ball park amount of coverage. Why 10 to 12 times? Another good question. Let’s say person “A” has $480,000 of term life insurance (12 times a $40k/yr income). They die. Family cashes in policy. After burial expenses the family invests the remainder. With returns of 8 to 10 recent on their investment (a good broker can help you with this), the family can move forward living off the interest as if person “A” were still alive and working. When polled, 70 percent of U.S. households with children under 18 said they would have ‘trouble’ meeting everyday living expenses within a few months if a primary wage earner were to die today. 40 percent say if they found themselves in the same situation they would immediately have trouble meeting everyday living expenses. The ‘enough’ question is a big issue, mainly because people feel they cannot afford it. 84 percent claim it’s just too expensive to have proper coverage, but this same group drastically overestimated the cost, by over 3 times in most cases. * The actual cost, approximately $150/year. See for yourself (then get a quote while you’re there). And finally, 70 percent of Americans failed a 10-question basic life insurance IQ test conducted by LIMRA, proving that most just don’t understand the product of life insurance. Click here to take the test and see how you do. Protect your legacy, get proper life insurance to cover your family. There’s one number I left out that we all need to be aware of… 100 percent of us are going to die, so be prepared. Questions, comments, how did you do on the test? NOTICEHaving ANY Life Insurance is better than having NO Life Insurance. If you decide to change the type of insurance you currently have, DO NOT cancel your existing insurance until the new insurance is fully processed and in place.